Our product range includes a wide range of astragalus extract, apple extract, lycopene powder, papaya extract powder and cinnamon extract. 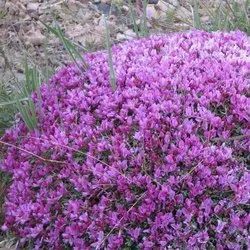 Astragalus is a perennial plant and a member of the legume family. This plant grows to be about 16 to 36 inches tall, with long stems, pointed leaves, and purple flowers. But the important part is the white root, usually harvested from 4-year-old plants, which turns yellow as it dries. There are over 2,000 species of astragalus, but astragalus membranaceus and astragalus membranaceus are the two mostly used for health purposes. Astragalus is used to support and enhance the immune system, and to provide support for the upper respiratory system and the digestive system. It may help maintain normal blood pressure levels and help blood vessels remain relaxed, as well as support liver function. It is also used to encourage strength and stamina. Astragalus contains a number of compounds, including antioxidant bioflavonoids, polysaccharides, triterpenoid saponins, glycosides, amino acids, and trace minerals. It has also been found to stimulate the production of interferons, which are part of the body's defense system. A member of the rose family, the apple is a crispy, white fleshed fruit. the apple fruit grows a on deciduous tree that when fully grown can reach anywhere from 9 to 39 feet in height. the crown of the apple tree is broad and twiggy, and the leaves are oval shaped with a slightly downy underside. the apple blossoms, which bloom simultaneously with the budding of the leaves in the springtime, are five-petaled and whitish in color, often with a slight pink tinge. the fruit of the tree, the apple itself, matures fully in the fall season. 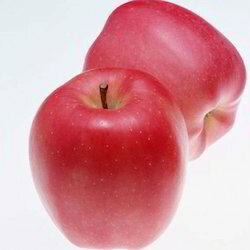 The apple is full of antioxidants like quercentin, chlorogenic acid, procyanidin and epicatechin which studies have shown may promote cardiovascular health. Phytonutrients found in the apple like the flavonoid quercetin can help regulate blood sugar by inhibiting the enzymes that digest carbohydrates, thus slowing down the release of sugars into the bloodstream. research has also shown that the important nutrients in the apple may be beneficial to colon health, as well as help maintain normal cholesterol levels with regular intake.. the apple fruit is good source of vitamin c and dietary fiber including pectin which is a soluble fiber. studies have shown that soluble fibers such as pectin may be helpful in promoting cardiovascular health. 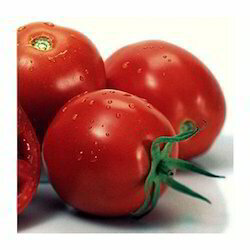 Lycopene is a naturally occurring chemical that gives fruits and vegetables a red color. It is one of a number of pigments called carotenoids. Lycopene is found in watermelons, pink grapefruits, apricots, and pink guavas. It is found in particularly high amounts in tomatoes and tomato products. In north America, 85% of dietary lycopene comes from tomato products such as tomato juice or paste. One cup (240 ml) of tomato juice provides about 23 mg of lycopene. Processing raw tomatoes using heat (in the making of tomato juice, tomato paste or ketchup, for example) actually changes the lycopene in the raw product into a form that is easier for the body to use. The lycopene in supplements is about as easy for the body to use as lycopene found in food. People Take lycopene for preventing heart disease, "hardening of the arteries" (atherosclerosis); and cancer of the prostate, breast, lung, bladder, ovaries, colon, and pancreas. Lycopene is also used for treating human papilloma virus (hpv) infection, which is a major cause of uterine cancer. Some people also use lycopene for cataracts and asthma. Papaya is a tree-like plant with a single stem that can grow 15 to 30 feet tall. The leaves and fruit cluster at the top, leaving the rest of the stem bare as it grows. If the main stem is cropped, the plant will produce several new stems at that point. Delicate, white papaya flowers are small, waxy, and enchantingly fragrant. The delicious papaya fruits are spherical or pear-shaped, and can grow up to 20 inches long. They are green when young, turning yellow-orange as they ripen, with yellow, orange, or even pink flesh inside. Papaya plants produce these fruits throughout the year. Papaya is believed to be native to central and south America, and is now cultivated around the world in tropical climates. Papaya is known for the enzyme papain, which assists the digestion of proteins, as well as other enzymes that are good for helping the body digest and utilize important nutrients. Papaya is also rich in beta-carotene (vitamin a) and flavonoids, as well as folate, potassium, iron, calcium, b vitamins, and the antioxidant vitamins c and e. It is also a good source of dietary fiber. The beta-carotene and other vitamins in the orange-colored papaya fruit may help protect normal eyesight, and its unique enzymes are very helpful for aiding digestion and supporting a healthy gastrointestinal system, particularly the colon. In addition, it may help maintain normal cholesterol levels. 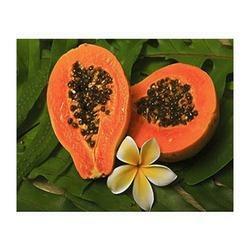 Papaya is also used to support cardiovascular function and a healthy immune system. Another popular use for the mulch-talented papaya is as a topical ointment to soothe cuts and burns. The Cinnamon Extract that we offer is obtained from the most premium variety of cinnamon to ensure premium quality product for our clients. This is absolutely safe for consumption and hence, is prescribed by a large number of doctors. This extract is chiefly used to treat nausea, digestive problems and intestinal colic. It can also be used in a wide variety of cooking applications.